1. Use Quench Me daily, morning and evening after serum. 2. Wash your face with cleanser. 3. Pump 2 to 3 pea-sized drops of Quench Me on your palm. 4. Apply over your face and neck in up and outwards circular motions until fully absorbed. 5. The content of the product can be used for 12 months after opening. 6. The product lasts up to 3 months until completely used. This is good product! No sticky at all, moisturizing my skin. I have an oily and sensitive skin, it doesn't make me uncomfortable at all. Previously my nose side always peeling & oily at t zone area. It neutralize my skin & no more peeling issue now. I love this moisturiser so much! I've finished 3 bottles already so it's a high time for me to give a review. The texture is ultra light and gel-like texture, which sinks almost immediately in your skin, leaving your skin moisturised without the greasy feeling. I really like the cooling effect on my skin after applying it. I use this moisturiser every night in conjuction with my acne treatment. I like the fact that this moisturiser doesn't 'interfere' with the treatment and in fact it complements very well together. Each morning I wake up with fresh skin and it feels awesome. Not only this moisturiser is filled with moisturizing elements but with skin-loving nutrients too. I believe my skin has improved a lot ever since I used this moisturiser. The downside, however, I feel that this moisturiser is bit heavy on the pocket, meaning it is quite expensive. It runs out quickly since I use quite a lot to counter the drying effect from the acne treatment. Worth to mention that this moisturiser may not suit people with dry skin. It's not sticky after apply onto my face and also keep my skin moisture whole night. this is my 1st Moisturiser product, very suite for me, i have feel this product have let me look good and very moisturizer for me. Will intruduce this produce to my friend! this is an awesome product. it moisturize my skin without any sticky or oily feel. highly recommend for those who have a dry skin. i bought three bottle of this from sass, so amazing product, i used it every day and night. This is now my favourite moisturiser. It's so great for oily or combination skin, you felt so moist but never felt oily! it's so watery, i felt like washing my face every time i put this on my face :P Highly recommend! This fabulous moisturizer is perfect for my combination skin type! The previous moisturizers i used before made my skin really oily and prone to blackheads,whiteheads and pimples. But after using this, i no longer have those problems! 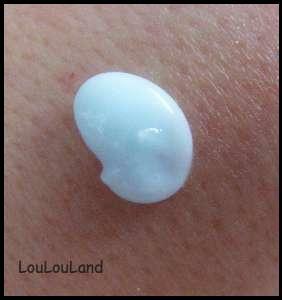 this moisturizer is so light, it absorb into skin very fast. The smell is beautiful too! Light, gentle texture moisture. Good for oil to combination skin. This moisture also hydrates skin without sticky feelings. The product can hydrate and control oil at the same time. I even use it in the fall around T-zone. But maybe not perfect for winter. + Texture is light and non-sticky. (Also has a nice blue-ish tint.) + Dries quickly but effects are smooth and non-greasy skin. + Effects are longer-lasting. Usually with moisturisers that are light, they dry quickly for me but 10 minutes after it dries, my skin would be all flaky again. This lasts for a few hours. - Perfect moisturiser for me if it wasn't for being too pricey compared to my other moisturisers. To be honest I had this as sample, and I pretty much scraped as much as I could before throwing it in the bin. I'll consider getting this if it came as some sort of kit with the blackheads serum and acne serum. Right now I'm concentrating on the latter first, and dehydration last. this moisturizing gel is favorite product, i have combination skin and this light lotion works well for my skin type. i use this lotion and "off with those heads blackheads sebum gel" in the morning. my skin is soft and hydrated and blackheads are gone. really love the texture and the smell. I have very oily skin, and i use this moisturizer for day time and use "submerge me" for night time. I like these two moisturizer. Because both of them are really really good for moisturizing the skin and control my breakout and shine condition. This one is weightless and has really soft and smooth texture. 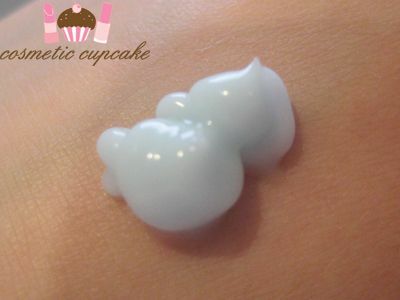 It is light blue milky cream and smells good. Actually all the products from b.liv smell great! After applying this on my face, i fell refreshing and my skin looks clean. The moist feeling can last whole day long and keep my make-up last longer. One thing negative i would say about this product is the same as "submerge me" that it is only 45ml. It is always used out quickly. This superbly refreshing moisturizer starts out as a gel like consistency but after spreading it around my face, it became as light as water! It absorbs into my skin really quickly and leaves no sticky feeling which i LOVE! Works well for me especially my nose area which tends to get really oily. I have very dry skin, which gets especially worse during winter! All of the dry skin line moisturizers that I've tried always feel very heavy on the skin and when you use make up on top of it, it just feel very gross after a few hours! So for years, I've been struggling in finding the perfect moisturizer that feels light on the skin, but yet still gives that protection! Looking around the web, I came across to a product review of Quench Me and feeling curous, I decided to get the dry/dehydrated as well as the large pores sample. 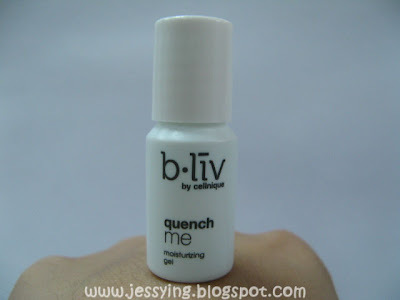 I tried out Quench Me and it was love at first application! Not only does it feel light on the skin, I didn't have to use much product to get that moisturized skin feel! I definitely recommend this for people who have dry skin and are using make up, because this leaves a very light and moisturized feeling after application. Quench Me also is absorbed very quickly by the skin, so you can just apply your sunscreen or foundation a few seconds after application! I BOUGHT SAMPLE OF THIS PRODUCT FROM BLIV. AND I REALLY LOVE THIS ONE. AS I GOT OILY SKIN, FINDING A SUITABLE MOISTURER IS HEADACHE FOR ME. THIS PRODUCT REALLY WORK FOR ME. THE TEXTURE IS SO GOOD.